Thanks to Macon Coliseum manager Bill Lavery, 42 years ago today, Elvis Presley suited up for what would be his first concert in Macon, Georgia. Lavery was the manager of the Macon Coliseum and was friends with Elvis’ manager, Col. Tom Parker. 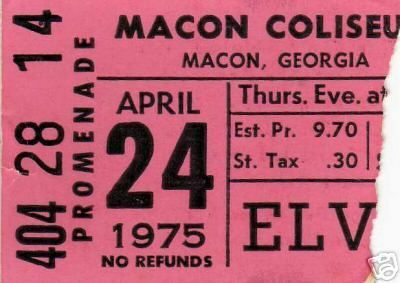 When Elvis launched his 1972 tour, he was only playing markets much bigger than Macon. As the story goes, Lavery convinced Parker to schedule two shows at the Macon Coliseum on April 15, 1972. As a result of these two sellouts, Elvis performed three more times in Macon, between 1975 and 1977. Over 10,000 concert goers traveled to Macon from all over to get the chance to hear Elvis live in concert. The fans began to flock into the Coliseum at 7 pm for the 8:30 pm performance soon realized how fortunate they were to have tickets. Outside of the Coliseum stood groups of people trying desperately to purchase tickets. All were willing to pay inflated prices. As Elvis rushed the stage, dressed in blue and silver at 9:45pm he began the concert with "C.C. Rider" and followed that with "I Got a Woman." He concluded the hour-long event with "Dixie" and "I Can't Help Falling in Love with You." Here is a short video from Elvis' April 24th concert at the Macon Coliseum. In this video clip, Elvis sounds tired and weepy, but is nonetheless comical with off the hip jokes. 'My name is Johnny Cash ... it's a pleasure to be back here in Atlanta, uh, Macon" he jokes. 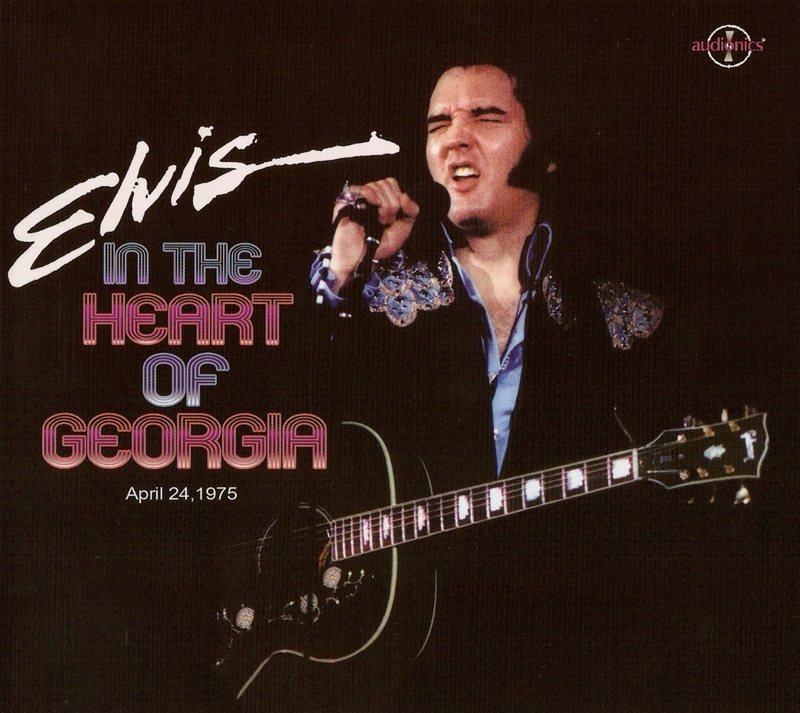 Originally released as part of the 'From Vegas To Macon' set, this concert in its entirety was later released as 'In The Heart Of Georgia,' and was recorded live from the mixing desk at the Macon Coliseum on Thursday, April 24, 1975. Then Macon Mayor Ronnie Thompson met Elvis in his backstage dressing room. Elvis was presented with a Certificate of Honorary Citizenship and a key to the city. After the concert was over, Elvis waved to the fans, walked off the stage, and stepped into his limousine waiting just behind the stage and left for the Hilton. The audience was still standing and cheering.